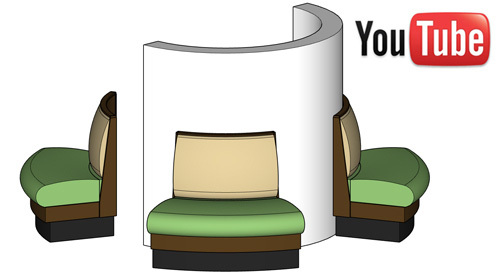 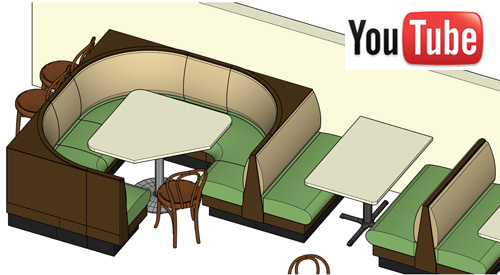 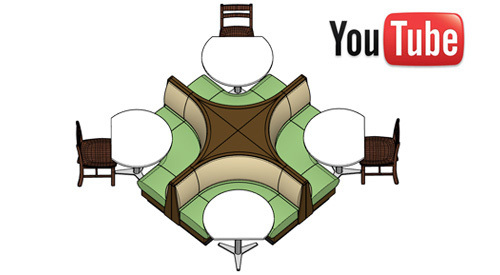 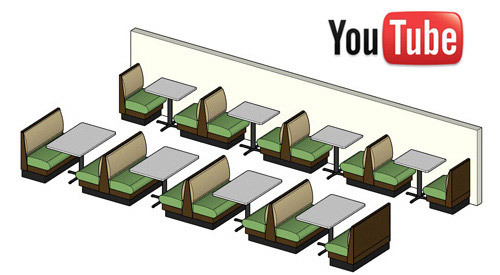 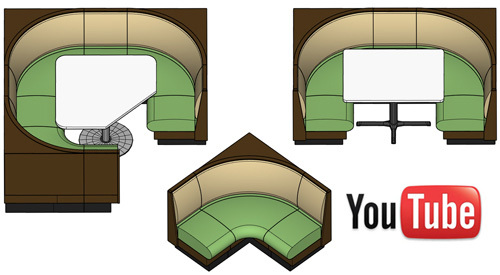 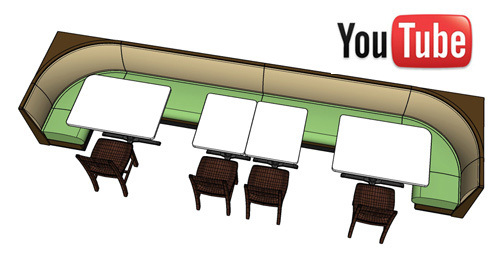 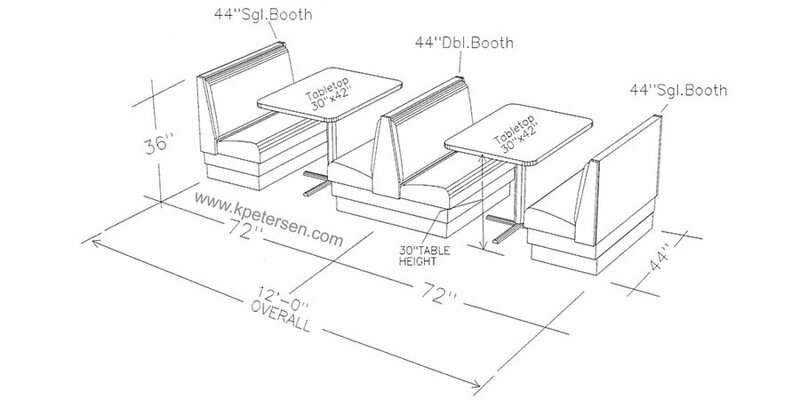 Upholstered Restaurant booth line drawing illustrations, plan views, perspective views and links to YouTube videos. 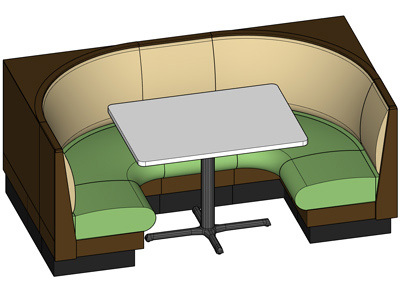 Single and Double Upholstered Booth Spacing with Table Tops. 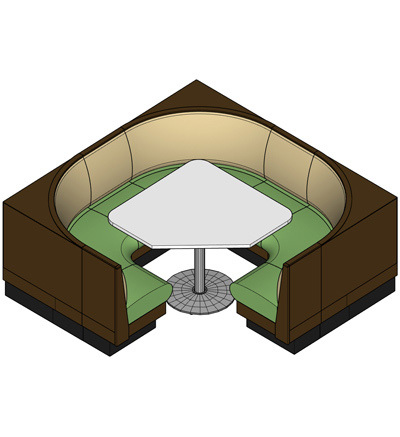 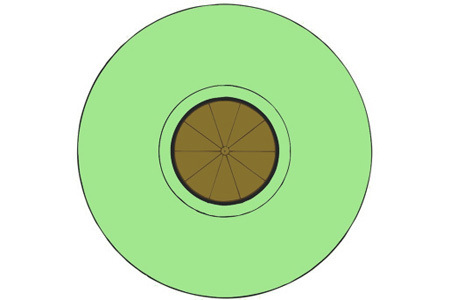 Three Quarter Circle booths, Half Circle Booths, Quarter Circle Corner Booths, Banquettes and special arrangements. 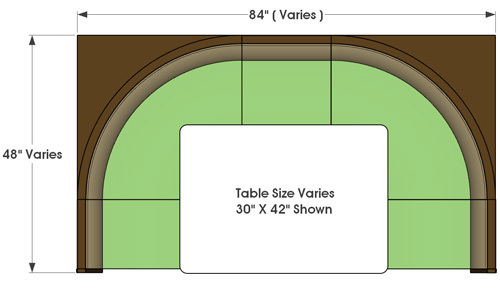 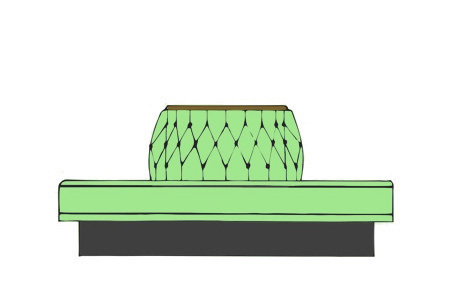 Most dimensions will vary according to project requirements and booth product style. 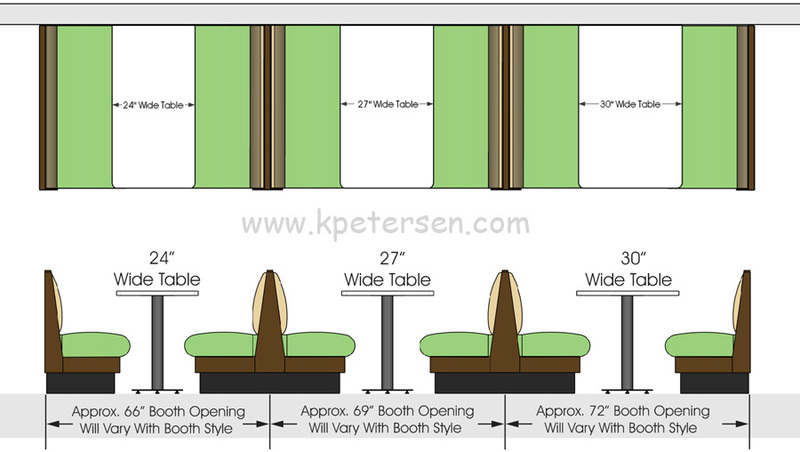 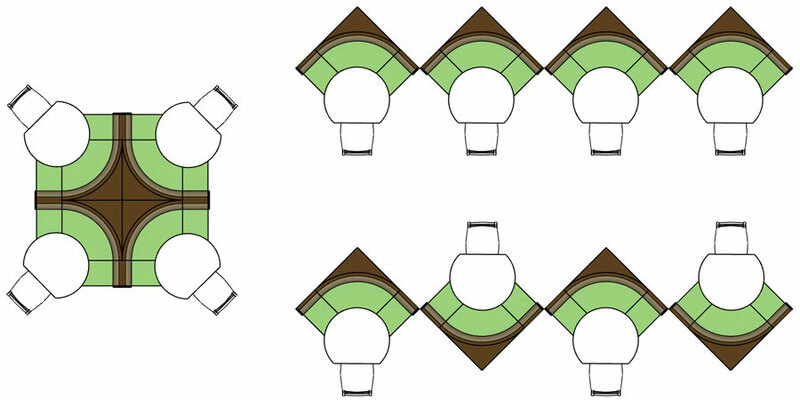 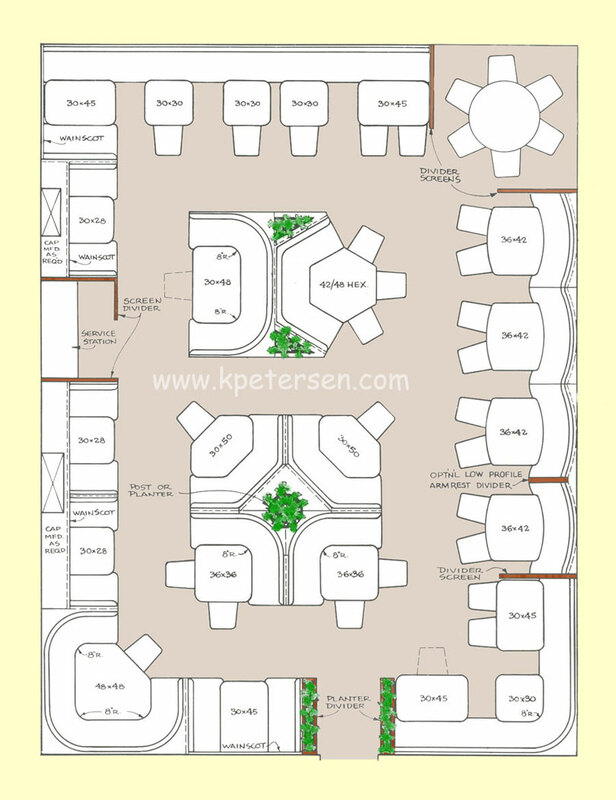 Use Booth Banquette Sections with Table and Chair Arrangements. 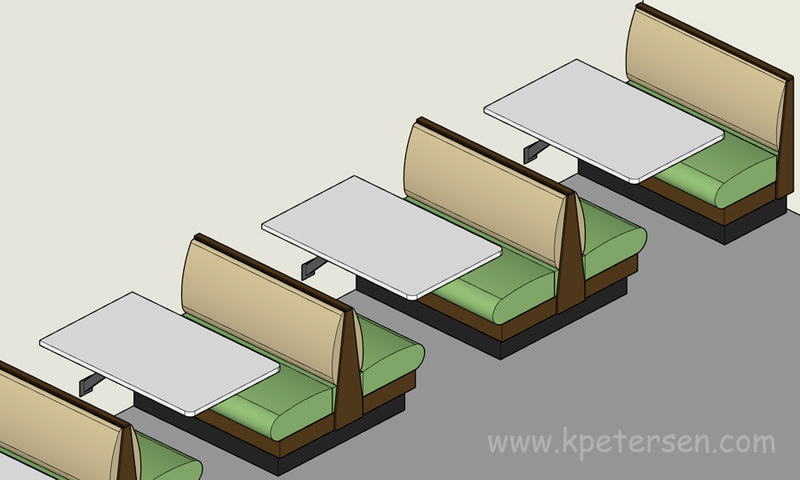 Upholstered Restaurant Booths Multiple Grouping Examples. 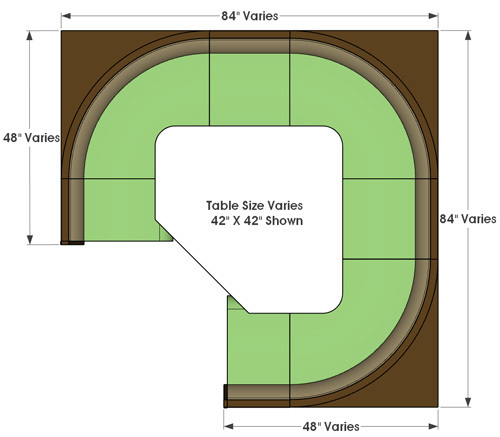 All dimensions can vary according to project requirements.